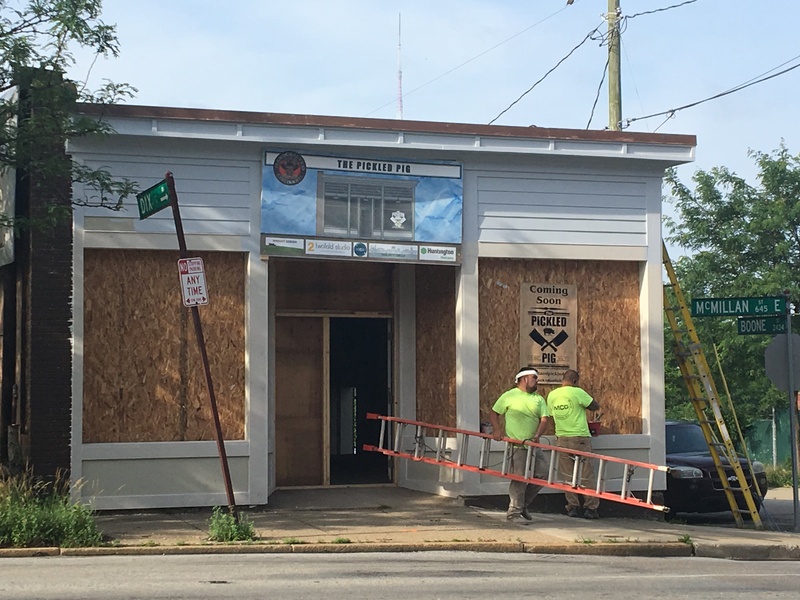 We are a non-profit community development corporation working to enhance the quality of life in Walnut Hills. 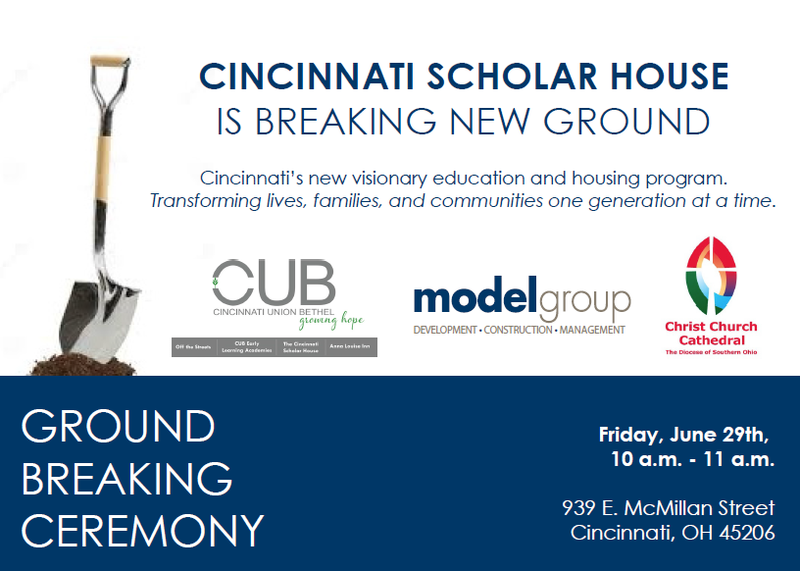 "Cincinnati Union Bethel, the Model Group and Christ Church Cathedral plan to build dozens of brand-new apartments at a defunct Dollar Store site in growing Walnut Hills to house single parents pursuing post-secondary education similar to a project in Northern Kentucky... 'This will be a revolutionary project if it’s funded,' said Councilwoman Yvette Simpson. The city owns 939 E. McMillan St., part of the site needed to make the 44-unit project happen. 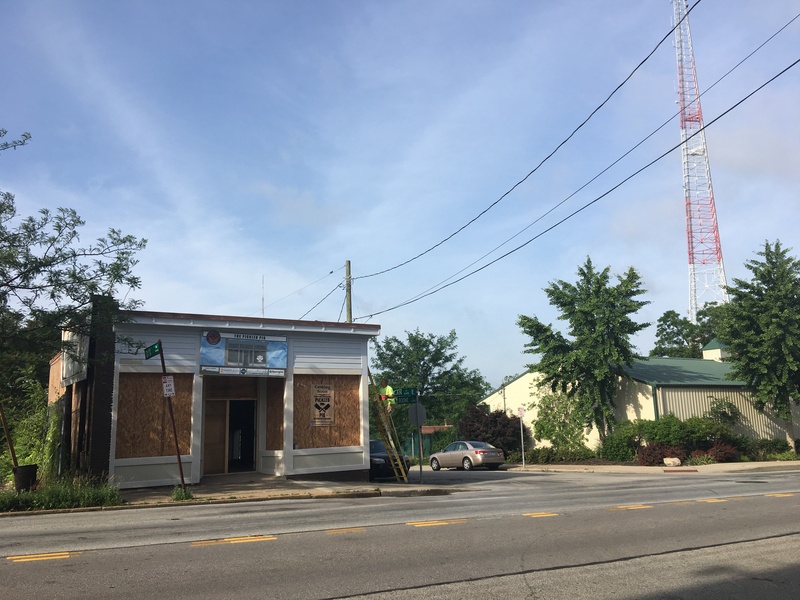 The Cincinnati Planning Commission approved the sale of that parcel on Friday. Meanwhile, the Cincinnati City Council’s Neighborhoods Committee heard a presentation on the project and others seeking tax credits on Monday. "Providing housing for parents and a child development center for their kids allows two generations to be addressed at once. 'We think this is one of the best programs we've ever heard of,' said Tim Westrich, project manager for Model Group. 'You're addressing two generations of poverty. The kids will come out of there well prepared to go to Cincinnati Public Schools.' It also will allow Model to create a seamless development near Peebles Corner in Walnut Hills, with Trevarren Flats on the east side of the Scholar House and the future Paramount Square on the west side. Model considered other Cincinnati sites but felt it had the backing of Walnut Hills. 'They're definitely a community moving upwards,' Westrich said. 'We want to make sure the affordable housing in their neighborhood has programs wrapped around it.' All of the units will be covered by project-based federal housing money so that residents pay a maximum of 30 percent of their income toward rent. The developers plan to build the project so it qualifies for Leadership in Energy and Environment Design Silver status." Read the full article here (however there is a paywall). Visit here for their Facebook page, here for their website, and here for another CityBeat article with more history and pickled details! "This position will be responsible for improving the vitality of the neighborhood business districts by supporting existing businesses and identifying new opportunities for growth while ensuring diversity "... Click the image to the left for more details on this role and to download the description in full. 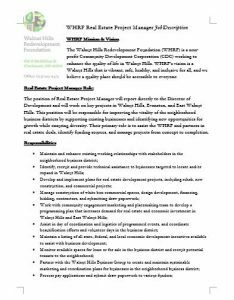 Please forward Resumes & Cover Letters to info@walnuthillsrf.org by Wednesday, June 20th with "Real Estate Project Manager" in the Subject line.